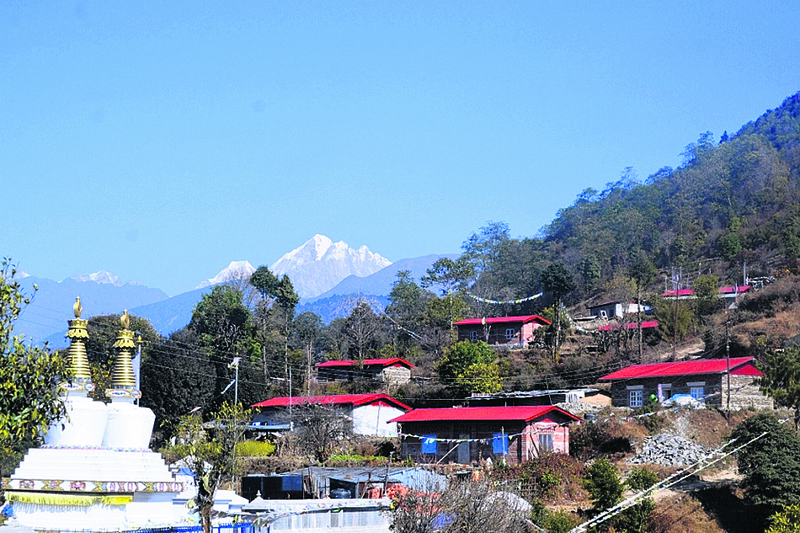 SINDHUPALCHOWK, Feb 12: With the reconstruction of almost 57,000 houses and many more in the process, Sindhupalchowk, one of the most-affected districts by the deadly earthquake of 2015, has undergone a modern-day makeover. This district, which was once full of traditional houses, now looks like a city. As per the records of the District Project Implementation Unit (DPIU), Grant Management and Local Infrastructure, only 2,000 quake victims in the district are yet to start the reconstruction of their houses. Similarly, the construction of 19,200 houses is in the final stage while around 8,700 beneficiaries have just started the rebuilding process. "In comparison to other districts, the progress of Sindhupalchwok is quite satisfactory," said Jay Prakash Gupta, district project manager. According to the DPIU, the number of beneficiaries has reached 87,000 in the district. So far, 65% of reconstruction has been completed in the district. Around 95% of the quake victims have been provided with the first tranche of the government grant while 87% have also accepted the second tranche. Government had kicked off the reconstruction process from Sindhupalchowk. The then Prime Minister KP Oli had inaugurated the project. The officials of the project say the contribution of various non-government organizations has played a pivotal role in speeding up the reconstruction. Especially the role of Japan International Cooperation Agency (JICA) has been pivotal. 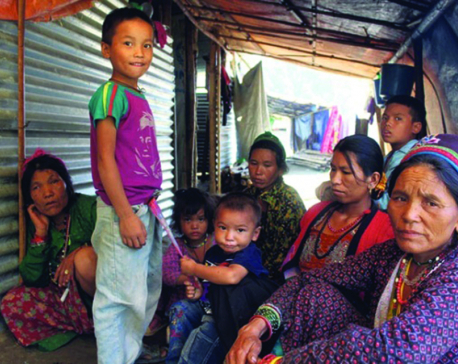 This organization has provided loans and grants for the construction of 40,096 households in Sindhupalchowk and around 15,000 households of Gorkha. Furthermore, there are many more organizations such as Save the Children, World Vision International, WORC, Helvetas Nepal, Karitas Nepal, Nepal Red Cross Society, Oxfam International among others which have been assisting the nationwide reconstruction work. Not only the government but also the quake victims are gearing up to finish the reconstruction soon so as to get rid of the makeshift tents. The houses, which were once reduced to the rubble, are now standing tall and high in the district. By observing the current pace of work, locals are hopeful that the district will finish the reconstruction soon. Caption: Okhreni village of Sindhupalchowk after reconstruction.